Good news everyone! One Music PH together with ABS-CBN Lifestyle, MYX, and L.U. Soul, is proud to announce that ONE PARADISE will be taking place once again in San Juan, La Union! 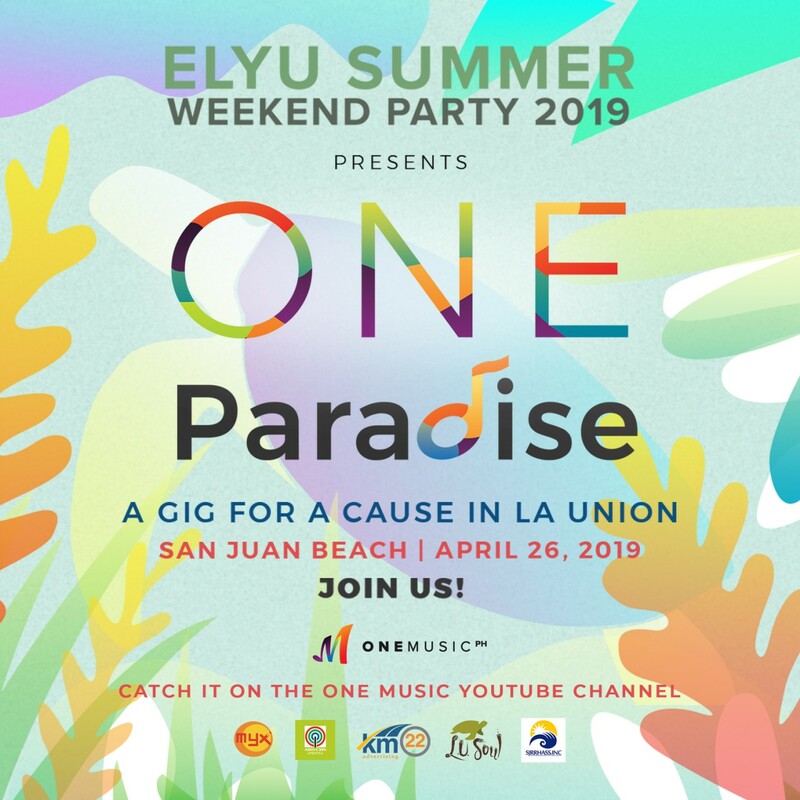 Happening this April 26th, ONE PARADISE is a benefit gig that brings together some of the most talented artists in the country to harness the power of music and help raise awareness to imporant environmental issues. So aside from a FREE concert featuring Cane City, brwn, Quacid, Jason Fernandez, Miro Valero, Sue Ramirez, Agsunta, and Parokya ni Edgar, plus many more! To top things off, the event will be hosted by the lovely MYX VJ Samm and Sports and Action host Vince Velasco. So what are you waiting for? Join us for some summer fun for a cause this April 26th! Stay tuned for more updates on the One Music PH Facebook, Instagram, and Twitter accounts. Are you ready for this year's ONE PARADISE? Tag a friend you'll take with you in the comments section!